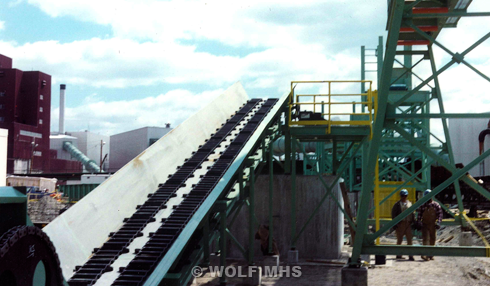 Wolf Material Handling Systems has provided complete engineered systems and equipment to the pulp and paper industry for over 30 years. Wolf takes complete design and supply responsibility of material handling from receipt of round wood, debarking, chipping, stack-out, truck dumpers, reclaimers, and conveyors to digesters. Wolf also provides systems for resource recovery in paper mills. Wolf will optimize your system for performance and minimize parasitic horsepower. Wolf offers a Performance Guarantee on each system design.